Breeching was the occasion when a small boy was first dressed in breeches or trousers. 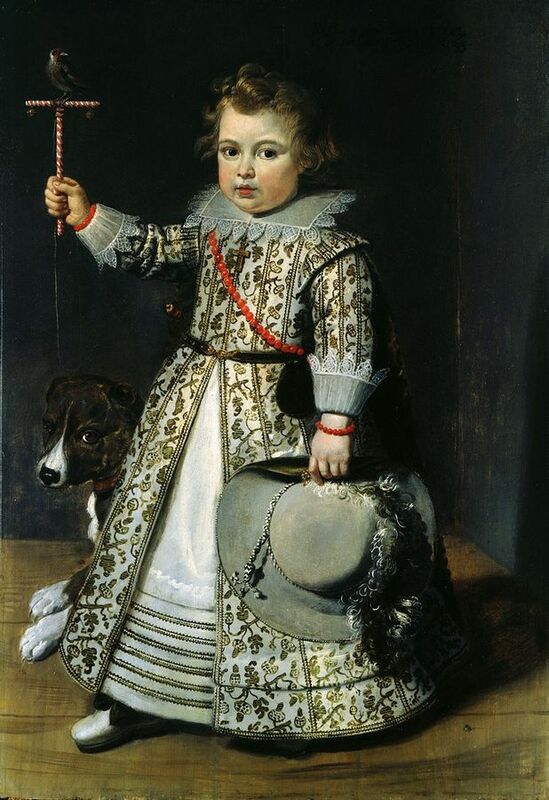 From the mid-16th century until the late 19th or early 20th century, young boys in the Western world were unbreeched and wore gowns or dresses until an age that varied between two and eight. Various forms of relatively subtle differences usually enabled others to tell little boys from little girls, in codes that modern art historians are able to understand. Breeching was an important rite of passage in the life of a boy, looked forward to with much excitement, and often celebrated with a small party. It often marked the point at which the father became more involved with the raising of a boy"
The main reason a little European boy would be dressed as a girl in a gown or fancy lace dress was pure economics and time saving; babies and toddlers grow fast and making a dress enabled using hems so that the garment could easily be extended as the child got longer, instead of throwing it away every 6 months! Also, in those days, pants had these complex breeches and it was a difficult task to open the breeches up fast enough when the child needed the toilet!